So here is the start of our S5 journey. 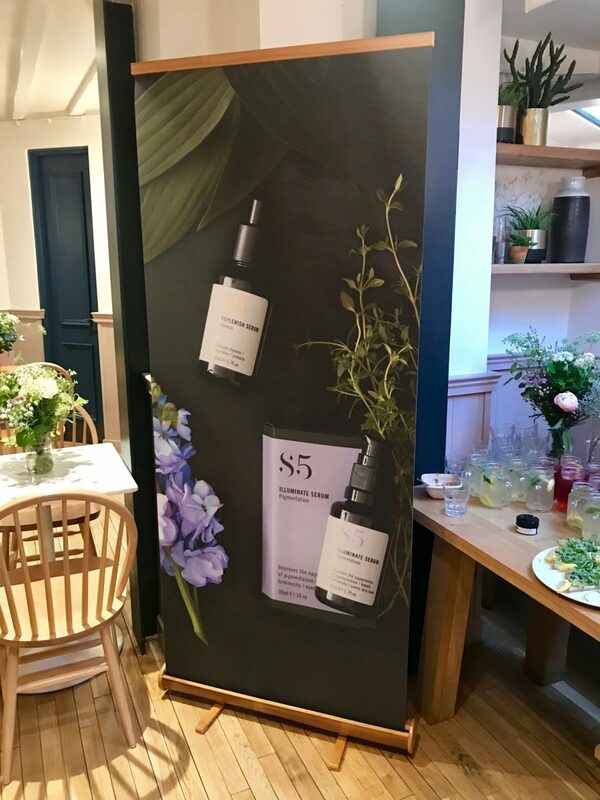 I had the pleasure of attending the breakfast launch of S5 skin care earlier in the year in July; I’d never actually heard of S5 skincare so was really curious to see what it was all about I was especially intrigued by the fact that it’s an organic eco-luxe skincare range. 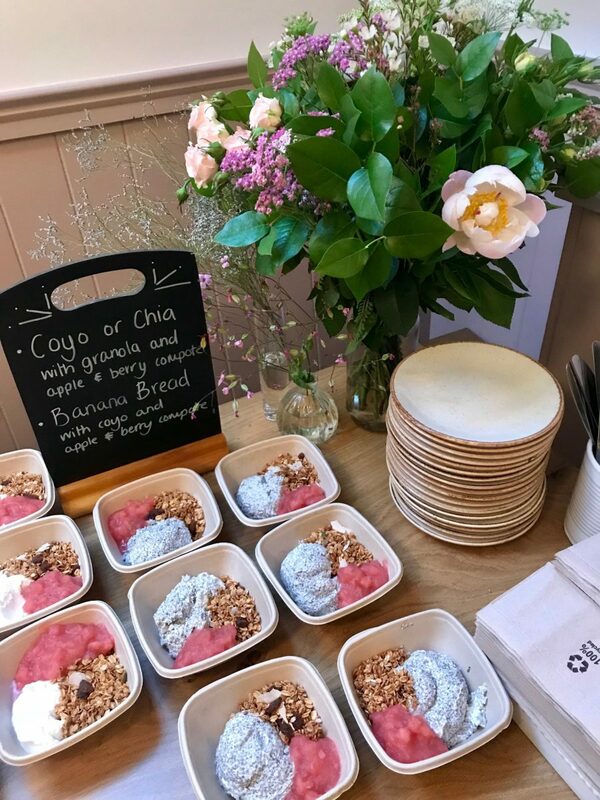 The launch was held at deliciously Ella in W1 and I must say it was really lovely to arrive at just after 9 o’clock in the morning and see beautiful spread of healthy yummy breakfast treats ready for us to gobble up, it is always lovely when a brand and their PR put effort into welcoming guests, the team at Chalk PR did a really lovely job. Get a really lovely thing was that the creatives behind the brand were on hand to explain everything that you want to know. 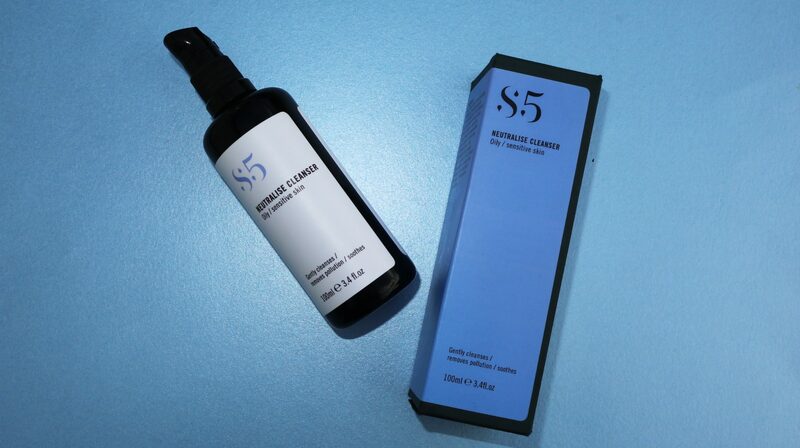 Now it turns out that S5 is not a new brand was actually initially launched in 2012 and the reason for the rebrand is that they wanted to take control of the manufacturing silicon put all the love and attention they want to into the skincare range. The first person I spoke to was the lovely Violaine who is the head of products and very passionate about the range: one of the things that she explained that I found intriguing was that the key ingredients in the products all come from extreme natural locations, which means that they are naturally adapted to be resistant to stressors. For example glycoproteins from the Antarctic – now these glycoproteins are created by a particular type of bacteria that exist in the Antarctic and keep the bacteria ‘alive’ which is pretty amazing considering extreme cold conditions so it’s inclusion in the ReNew serum means that it works to strengthen the cell walls and offers positive ageing benefits. At the other extreme, there are extracts used from the desert where there is very little water and plants have evolved to be able to lock water into the cells and manage the extremes temperature; so the glycoproteins used from the desert help to prevent radiation and skin ageing. 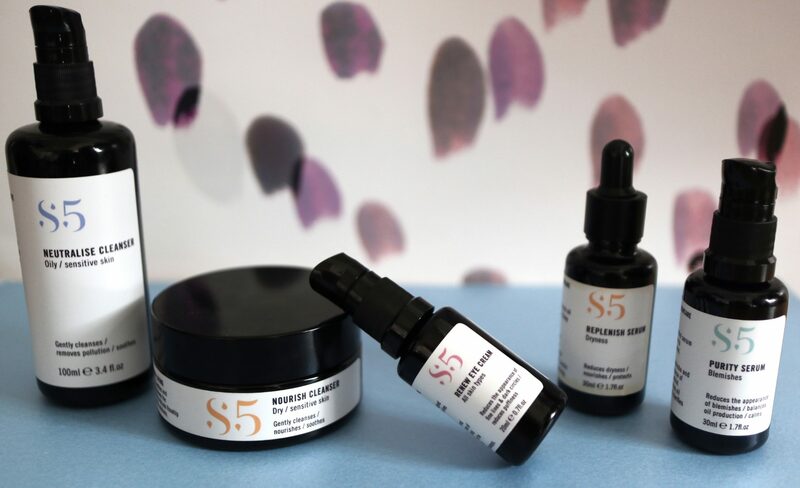 The brand says “we blend our bio-actives with high-tech green ingredients such as hyaluronic acid and vitamin C into an organic base of natural oils and butters”. I also had the opportunity to speak with Laura Rudoe the founder and science brain of the brand and listening to her speak you realise that her passion for organic skincare that really works is endless: she explained that the thinking behind the range is to help us address the stresses of modern living which include stress, lack of sleep, pollution and chemical damage, poor nutrition and digestion, immune system issues and biome and skin barrier disruptions. Laura is also responsible for Evolve Beauty skincare which I guess we can call the baby sister of S5. We recently featured Evolve’s Daily Defence Moisture Mist in a feature here. I have to say that the geek in me is very excited by the fact that more and more brands are harnessing the power of nature’s bioactive’s with the power of science ultimately taking organic and natural skin care a step away from the usual suspects of essential oils and the like… I’m intrigued by the power of some of these actives and I love getting to find out about the increased efficacy of products based on these interactions. 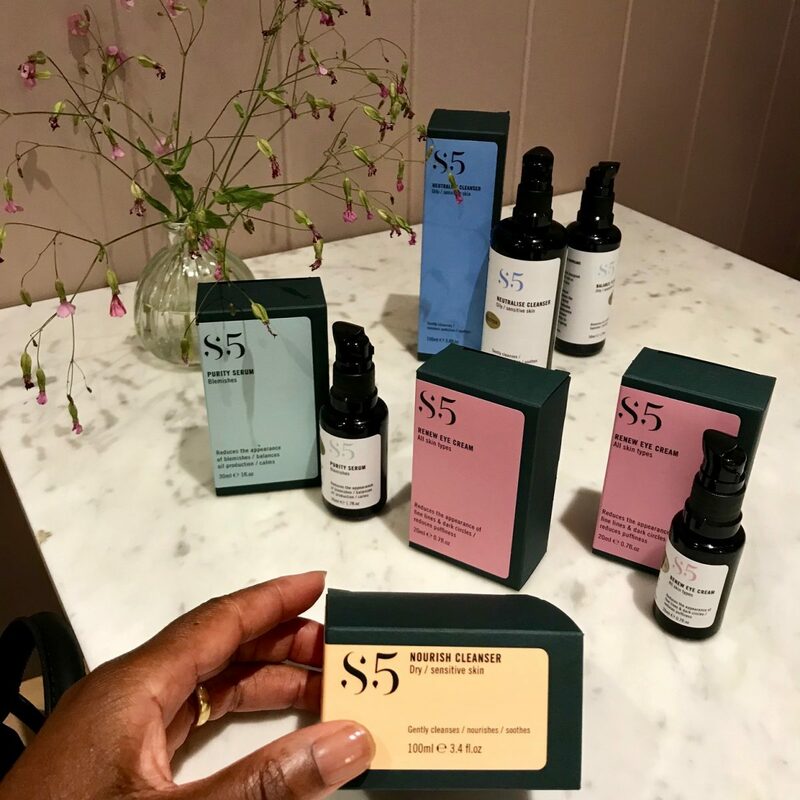 One of the things I like about this range is that there are not too many products in it which makes it easy-to-use -there are two cleansers five serums and three moisturisers and the range is designed to create a bespoke skincare solution any skin type. Jessica tried the Replenish Serum and Nourish Cleanser and I tried the Renew Eye Cream and the Purity Serum. Here are our thoughts. This serum/oil has a gorgeous, rich golden colour. It’s not a light serum that you can just apply and then soon after apply your usual moisturiser and go. 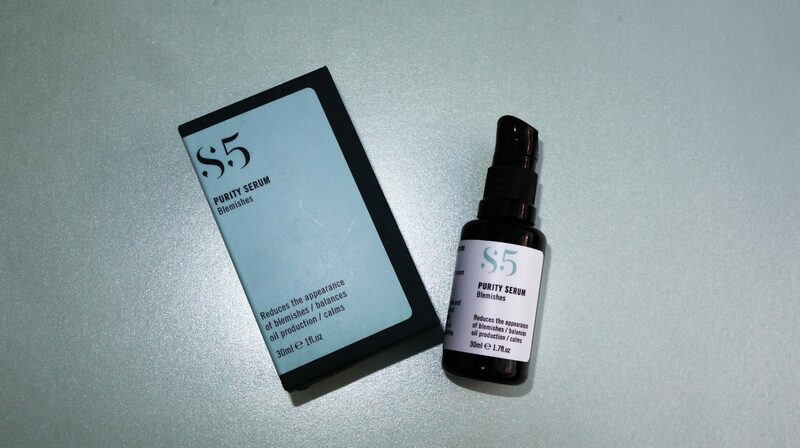 This is a rich serum that needs a little time to sink into the skin fully but will leave you looking glowing throughout the day and I’ve been really enjoying it. I would prefer to use this in the winter personally – it’s quite rich to have on your skin when it’s so warm outside. This works even better when you mix a couple of drops into your moisturiser and allow them to work together, giving your regular moisturiser a power boost. It’s an antioxidant-rich oil formulation for dry, flaky and redness prone skin. The formulation of Omega 3,5, 6, 7 and 9 and biomimetic lipids lock in the moisture, whilst the Rosehip Oil promotes cell renewal. Arctic Sea Buckthorn also boosts elasticity in the skin. 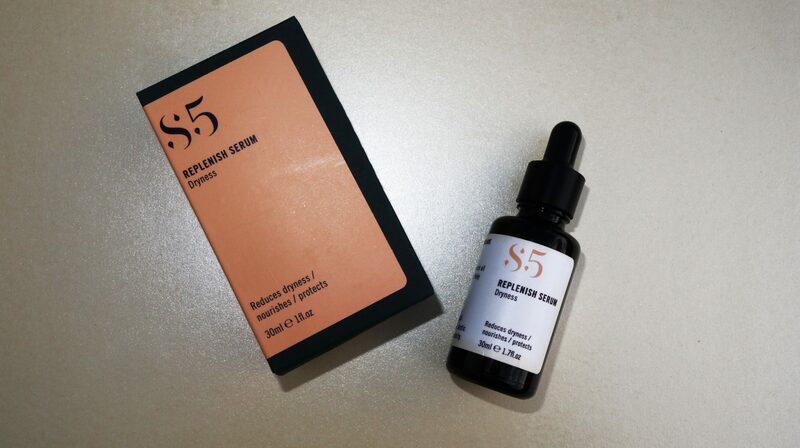 This has a similar ingredients list to the serum – rich in Omega 3, 5 , 6, 7 and 9 to lock in moisture, rosehip oil to promote cell renewal and Arctic Sea Buckthorn which boosts elasticity. 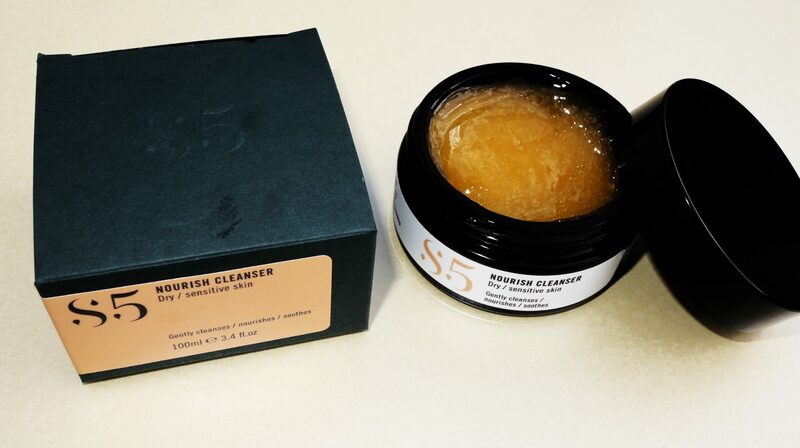 It is a beautiful, gel-like cleanser which also has an oily base to it. When massaged into the skin it has a kind of warming sensation, so like the serum, I’d prefer using this in winter… I’m sure you’ll all agree we’re all hot enough at the moment! Nevertheless, this is a beautiful, smooth cleanser that gives a gentle clean. When you add water, it transforms into a light milk and it washes away without leaving an oily trace on the skin. It’s rich and lush. What does the cleanser do? This is a lusciously nourishing cleanser that leaves you with super soft skin. 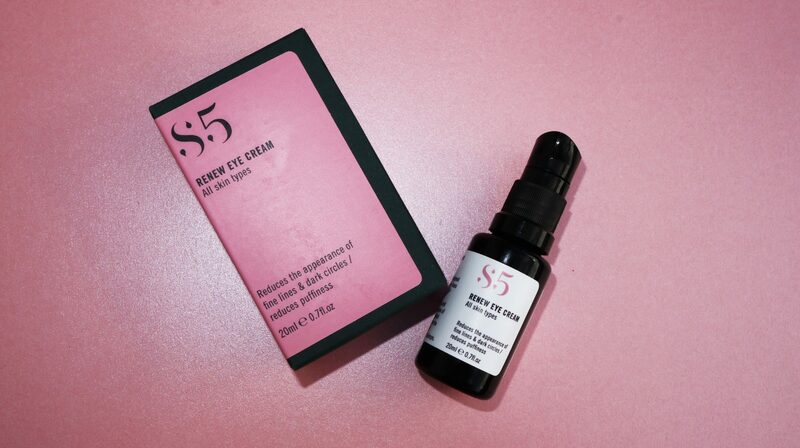 Like the serum, it’s rich in antioxidants to strengthen and calm the skin instead of stripping it. The cleanser – this cleanser has lightweight milky sort of consistency and look to it. When I apply it to my skin and start to massage my face with it, it almost feels as though it is not making contact with my skin and so when I first used it I doubted I was going to like it or that it would have any effect on my combination/oily skin: let me try to explain what I mean – with an oil cleanser or a cleansing Balm you feel that it’s connecting with your skin seeping into the pores and doing its job with this it feels as though it sliding off your face and is only when you get to the end of your massage process that you notice but it has actually sunken into the skin. When I then use my muslin cloth to finish the cleansing process I realised what an effective cleanser this really is it really cleans the skin beautifully, leaving flawlessly clean silky and glowing skin: I am loving this. 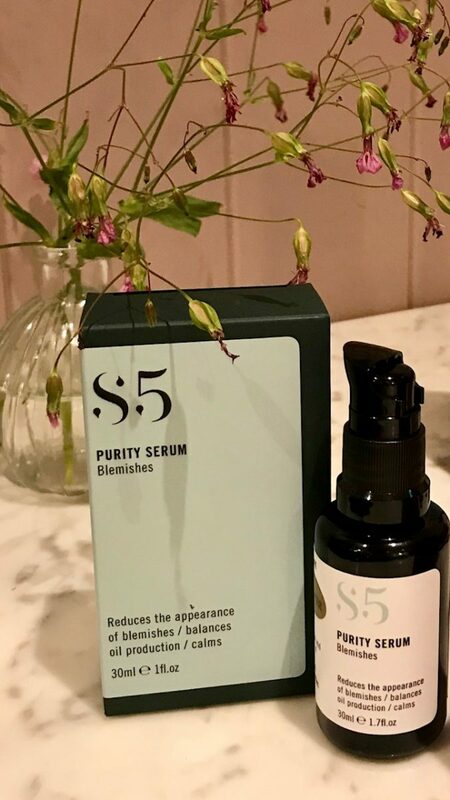 This is a targeted serum for blemish-prone skin which uses a blend of ingredients to reduce the appearance of blemishes, balance oils and boost exfoliation. Key ingredients are: Rainforest Copaiba, Andiroba and Acai to reduce the appearance of blemishes and balance oil. Alpine Epilobium which balances oil production and reduces the appearance of pores. Willow Bark which clarifies congested pores and boosts exfoliation. The eye cream is designed to reduce dark circles, puffiness and the appearance of wrinkles. Some of the key ingredients are Pffafia / Marapuma /White Lily: to reduce the appearance of dark circles and improve puffiness. Antarctic Glycoproteins: to reduce the appearance of wrinkles and support collagen production and Low Molecular Weight Hyaluronic Acid: which hydrates, soothes and plumps up the appearance of wrinkles. The founder Laura is very respectful of sensitive and sensitised skin, which is something that you can really see in this eye cream. It’s gentle, which is perfect for the particularly delicate area of the eye, while still feeling like it’s doing something. This is a light creamy serum, that sinks easily into the skin, leaving it moisturised without any shine or residue. It will take a bit longer to tell you about its effect on fine lines.